So eat Paleo and you’ll lose weight right? Well no…..
One of the big things lacking here is a process of education. Or maybe re-education that involves clearing up some long standing nutrition myths and taking a moment to revisit the science, which strongly suggests that processed foods and refined sugars will be the death of us, not fat. Before you embark on anything like Paleo pick up a decent book that explains why you’re doing what you’re doing, recommended reads include The Paleo Solution and The Primal Blueprint. This media exposure also isn’t helping by suggesting that this transition from processed to natural, single ingredients foods needs to be associated with the term ‘diet.’ This just implies it is a temporary fix for your waistline that will then allow you to resume eating the junk that got you fat in the first place. Most people also seem to have skipped the part about cooking and preparing your food. To make this sustainable you absolutely need to get a bit savvy in the kitchen. It takes time and isn’t easy at first, however, neither was your first tabata, deadlift, squat or jogging session but apparently it burns fat so you did it and keep doing it. Once cooking becomes a habit, it’s easy and the culinary delights you get to experience are endless. Finally, this notion that you need to be 100% compliant or you’re not ‘doing’ the Paleo diet, is a sure fire way to simply alienate people from even trying to eat this way. 1) To move away from the notion of it being a diet. There is no end to Fitter Food love. 2) To inspire people. We’re not chefs and have little time in the kitchen but we still manage tasty meal after tasty meal, the key is minimal ingredients and cut some culinary corners. So we wanted to put a positive ‘Fitter’ spin on it. 3) To avoid the Paleo police who slam you for not knowing the exact omega 3:6 ratio of every nut & seed. We wrote our recipe book after observing client after client fall off the wagon simply through lack of ideas about what to eat. This has now become our passion. 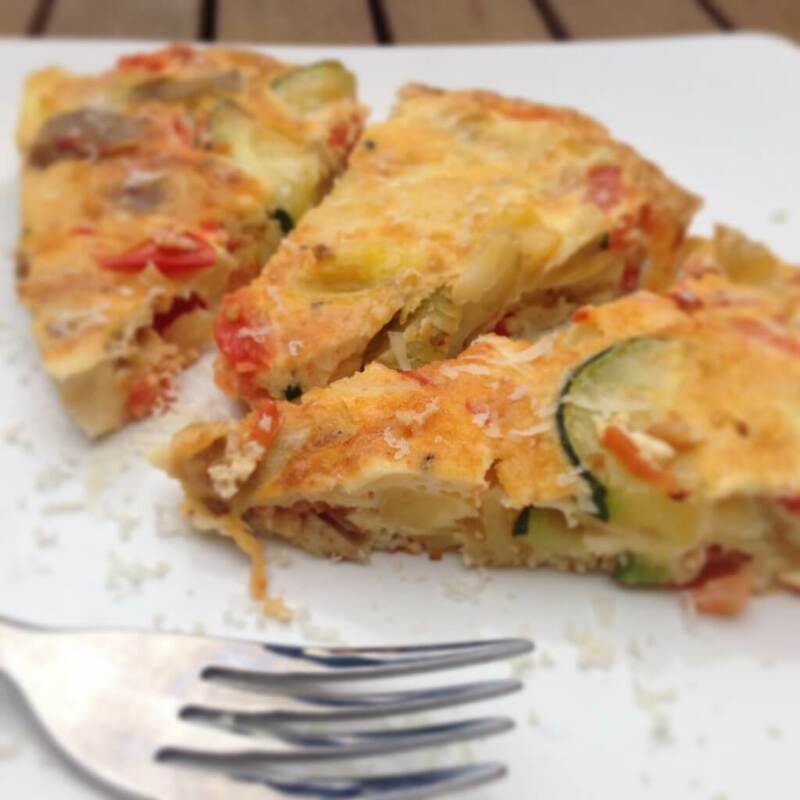 When it comes to fat loss or any health goal remember Fitter Food is just a place to start. We run 28 day challenges as a step by step guide to making the transition. We ask everyone to ditch processed foods and focus on nutrition that brings about the best in them. After the plan they might play around reintroducing foods like porridge, humous or bread and see how their body responds. Many have reported sticking 90-100% with Fitter Food after the 28 days as they experienced such great health benefits and felt rough going back to processed foods. It doesn’t need to be a lifelong commitment, you could trial a month following Fitter Food or paleo principles 100% and then conduct your own experiment. Alternatively, if compliance is something you struggle with don’t approach this thinking every meal MUST be paleo or you’ve FAILED! Most of us eat between 21-35 meals/snacks a week so even just making the majority of them based on natural foods that you sourced and cooked yourself will make a huge difference to your health. a) A protein and fat based breakfast will instantly returned better energy levels and a stable appetite compared to toast or cereal. b) Swap the crackers, oatcakes, pasta and cous cous for sweet potatoes, new potatoes and root vegetables. All easier on digestion and a more nutritious source of carbohydrates. We batch cook loads of new potatoes, sweet potatoes and root vegetables across the week and just add a handful to most meals – simple. c) Swap milk chocolate for dark chocolate, build up to 85-90% cocoa (cavemen were partial to the odd square of Green & Blacks don’t you know). d) Swap your oils – choose coconut oil, butter, Extra virgin olive oil and avocado oil over others. Throw in cheat meals/free meals if you think that’s what you need to keep you on the straight and narrow. Although a big incentive should be that the healthier you become overall, the better your body will tolerate the odd treat. So if you’re serious about some health goals maybe hang fire on these until everything is in check. 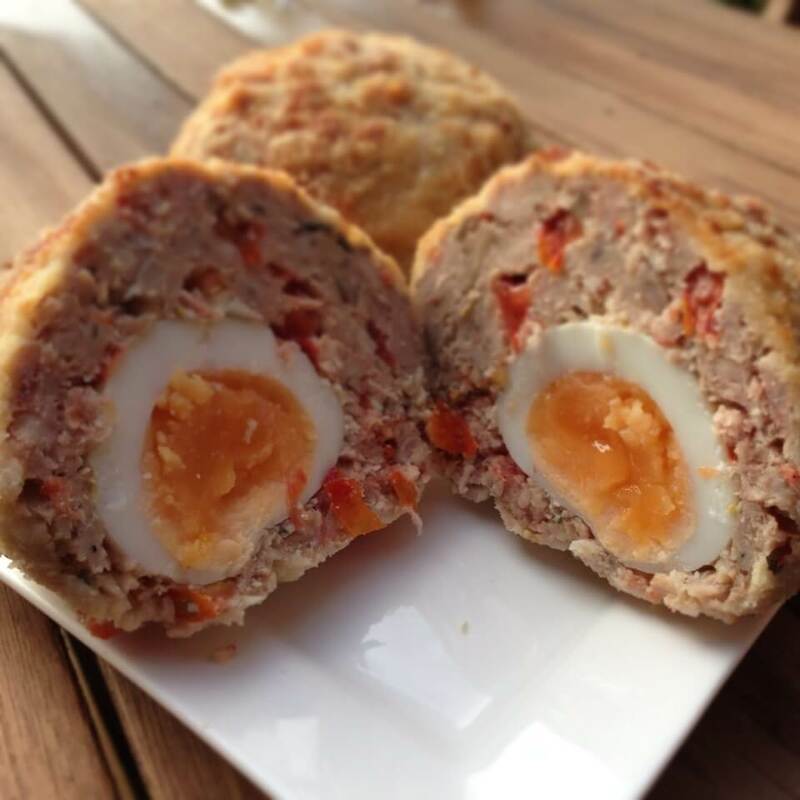 After experimenting ourselves here’s where we’re at (and have been for years) – Most meals are variations on meat, fish, poultry, vegetables but they’re not bland or boring, check out Matt’s Mighty Scotch eggs! We snack on fruit, nuts, seeds and dark chocolate. Some days we have some raw goat’s or sheep’s dairy. Occasionally, we have white rice to support training, but that’s about it grain wise. We make some homemade desserts but these are occasional (dark chocolate just hits the spot for us). We have the odd glass of red wine. Very very occasionally the odd peanut M&M or tub of ice cream may make an appearance but this is a rarity not because we feel answerable to anyone or concerned that it might kill us, we’re just not that bothered any more. So why not try it for a month, get our book or any paleo book and a stack of juicy recipes. Don’t overthink or become a slave to it just crack on.